Hender Contracting has been leading the contract recruitment sector in South Australia for more than 15 years. As a close-knit and trusted team of consultants, we’ve built an outstanding network of clients and candidates based on years of quality service. With a flair for securing candidates for difficult to fill roles, we pride ourselves on our broad skill base. Our consultants are well versed in a range of disciplines, which means they are experts in yours. We specialise in Executive Interim Management, Tech, HR, IT, Finance and Accounting, and Marketing and Communications. Our track record speaks for itself: 16 years of strong ethics, honest communication, and always keeping our clients and candidates at the heart of our business. Call us on (08) 8100 8816 to discuss your current contract requirements or skill set for your next opportunity. Southern Cross Care (SA & NT) Inc, a large not-for-profit industry leader in health and wellness, aged care and community services has been operating over four decades, having continued to expand its services on order to meet with growing demands across South Australia and the Northern Territory. An exciting opportunity has emerged for an experienced Warehouse Coordinator to join its operations. This hands-on position is a testament to the company’s commitment to customer focus and service. We are seeking a warehouse professional with demonstrated expertise within this environment. Proven experience in managing and optimising packaging processes and services, understanding urgency and the importance of continuous flow and a hands-on approach are as important as the ability to understand, coordinate and monitor the availability of supplies and equipment to stakeholders. Strong experience with continuous improvement, attention to detail and problem-solving skills are key to your success in this role. Dedicated customer focus and a sound understanding of safety policy and SOPs is required. We are seeking a professional who can demonstrate success within a similar role. Proven experience in business, management and logistics would be beneficial. A current C Class Driver’s license and forklift licence is required. This is an exciting opportunity to work for this dynamic organisation and contribute to its success. In addition to your resume, please provide a cover letter addressing the criteria of the position. Applications in Word format only should be forwarded to Rosemary Hawker. Telephone enquiries are welcome on (08) 8100 8818 and may be directed to Rosemary Hawker. Our client is an established South Australian based civil engineering contracting company currently executing a number of high value EPCM contracts nationally in the renewable sector. The company is currently looking for a hands-on Project Engineer - Civil for major projects in SA & QLD. Reporting to the Site Project Managers, this positions will be responsible for maintaining effective relationships with primary stakeholders, providing technical engineering expertise, scheduling, planning, forecasting, resourcing and managing all the technical activities, with the aim to assuring all technical project deliverables are achieved on time and on budget. working with other engineering disciplines, designers and supervisors as required to support the engineering project delivery. demonstrate effective stakeholder engagement and organisation skills which are essential requirements to qualify for the role. These are project specific positions with a competitive salary on offer. Candidates who enjoy working on-site and are willing to work FIFO or DIDO will be ideal for the role. Applications in Word format only should be forwarded to Sangeetha Oommen. Enquiries are welcome and may be directed to Sangeetha on (08) 8100 8890. Are you a recruitment professional seeking a new and exciting fast-paced, fast tracked career opportunity? Becoming a consultant with Hender Contracting will enable you to align yourself with one of Australia’s strongest and most respected brands in the executive and professional recruitment sector. We provide a blue-chip client base and exposure to valued relationships with the key decision makers and best talent in the Adelaide business community. business development and relationship building within a commercial corporate environment. Applications are sought from candidates with recognised, sound experience in a recruitment role and demonstrated exposure to commercial, professional, human resources or business support disciplines. The successful candidate will be experienced in driving sales and be target driven. You will have excellent communication skills, be proactive, demonstrate initiative and a strong work ethic. Hender offer career growth in a close-knit, supportive team culture where consultants have a wealth of experience. Hender Contracting has been leading the contract recruitment sector in South Australia for more than 15 years. With a range of clients in varied industry sectors we are always seeking expressions of interest from experienced marketing and communications professionals to join our established team of contractors. Contract work can be appropriate for candidates wanting to gain experience in different industries, holding out for their ideal permanent position or pursuing a career as a contractor. Successful candidates will ideally possess a degree in marketing, communications, Public Relations or related discipline. Applications in Word format only should be forwarded to Marisa Hunt by email contract@hender.com.au Telephone enquiries are welcome on (08) 8100 8824. Hender Contracting has been leading the contract recruitment sector in South Australia for more than 15 years. With a range of clients in varied industry sectors we are always seeking expressions of interest from experienced payroll professionals to join our established team of contractors. Successful candidates will have experience using modern accounting software packages such as Chris21, SAP, Micropay or Meridian. The demand for talented contracting candidates continues to be high. Experienced candidates able to consider on-hire or fixed-term contracts will reap the rewards including excellent remuneration, weekly pay, flexibility and valuable career development. We seek experienced candidates from support to executive level across accounting and finance, human resources, WHS, marketing and communications, IT, project management, manufacturing and engineering. Whether you are available for an immediate start, looking to return to the job market or nearing the end of another contract, Hender Contracting have short and long term contract opportunities that may suit you. Please email your application including your resume and cover letter in Word format, outlining your availability and current job status to contract@hender.com.au Telephone enquiries are welcome on (08) 8100 8816. Hender Contracting is highly recognised as a first-class provider of accounting and finance contract staff to leading public and private sector organisations in South Australia. Do you want to be considered for exciting career opportunities which will further your career? Our clients are experiencing a high demand for contract accountants and finance professionals. We seek registrations of interest from experienced and qualified professionals to be considered for our current assignments. Ideally you will possess degree qualifications in commerce or accounting, demonstrating significant hands-on experience and CPA/CA status to mid to senior level assignments. You may be available immediately, expecting to re-enter the job market in future or are nearing the end of another contract or permanent placement. Assignments span public and private sector organisations, across most industry sectors including manufacturing, corporate, professional services, not for profit and more. Please email your details including current status and availability, by applying below attaching an up to date resume. Hender Consulting is a recognised leader in senior executive recruitment and provides ICT contract and permanent employees to public and private sector organisations within South Australia. Dealing with multiple clients in varied industry sectors we seek registrations of interest from experienced and qualified ICT professionals. To be considered for assignments we are currently engaged to undertake you will have significant demonstrated hands-on experience in a project driven environment. You may be available for an immediate start, be looking to re-enter the job market, currently on contract and nearing the end of another contract or permanent placement. Either way our assignments span manufacturing, corporate, professional services, not-for-profit, aged care, education, public sector and more. If you would like to know more about contracting in the Adelaide and regional market please email your details including current status and availability, by applying below attaching an up-to-date resume in Word format. Applications in Word format only should be forwarded to Sangeetha Oommen by email sangeetha.oommen@hender.com.au Telephone enquiries are welcome on (08) 8100 8880. Through our well established partnerships with leading and diverse employers, Hender Contracting is considered a first class provider of HR contract services. We aim to provide our candidates with a level of service second to none and assure confidentiality in dealing with your information. If you are interested in any future HR contract opportunities, please email your application of interest including your resume and cover letter outlining your availability and position requirements. As a contractor with Hender Contracting, you’ll have access to the most interesting roles in your sector. We are a respected advisor to a broad cross-section of loyal clients who bring us the best roles to fill. One of the most important conversations we’ll have with you is identifying your strategic career objectives. We take the time to understand what you want out of your career, so we can help you get there. As a contractor with Hender Contracting, we negotiate above award rates on your behalf when placing you in a role. Depending on the position and the client, these rates might be hourly, daily or weekly. Your skills and experience play a role in these negotiations, as do the length of the contract and the equivalent classification of other roles within the organisations. One of the questions we get asked the most is – how often will you get paid? And the answer is weekly. Our contractors tell us this is the set up that works for them best. Once we’ve placed you in a role, we stay in touch. Securing you a great contract is just the beginning of our job. If you have questions or concerns, one of our consultants will always be on hand to support you. All of your timesheet entries will be done online, because we are committed to building a sustainable workplace. We also offer you the flexibility to choose your own superannuation fund. Our candidates are given thorough inductions to make sure you are prepared for your role, whether you are an on-hire or direct contract employee. At Hender Contracting we take your confidentiality seriously. We will never put you forward to a role without your knowledge and consent. Call us on (08) 8100 8816 to discuss how we can connect you to your next role. If you have not provided Hender Consulting with your bank account details and Tax File Number, please complete the appropriate forms and send them to your Contract Recruitment Consultant. More than 16 years as Adelaide’s leading contract recruitment business, has taught us a lot. We understand there are many reasons why you may need a contractor, from fluctuating workloads to secondments, personal leave or special projects. We also understand that when you need a contractor, you need the very best. Our candidates are thoroughly vetted, which means when we put someone forward, they come with the Hender Contracting stamp of approval. We interview, reference and qualification check our candidates. A confidential discussion with a Hender Contracting consultant is a great place for you to start. Our clients value our discretion, and the knowledge that we are always available to discuss your business needs and assist with forward planning. We respect your confidentiality and only approach candidates with your approval. If you need a contractor for short, medium or long-term assignments we have a pool of talented candidates to connect you with. We’re able to draw on the very best talent to match with your business, whether you need a contractor in Executive Interim Management, Tech, HR, IT, Finance and Accounting, or Marketing and Communications. How is Hender Contracting different? Our consultants take the time to understand your business. We recognise the importance of helping you meet your cultural and gender diversity goals. All of our candidates are inducted to exacting Hender Contracting standards. Where you identify specific needs relevant to your business, we work with you to make sure our candidates are fully qualified to successfully achieve the required results. Placing a contractor with your business is only the beginning of our relationship. It’s our priority to make sure your goals are being met, so we’ll stay in touch over the course of the assignment. We always seek your feedback, because your satisfaction is our main goal. For a confidential discussion about how we can help source your next great contractor, please call us on (08) 8100 8816. You’re only as good as the people who stand beside you, and our team are the best. Our consultants understand the importance of matching quality candidates to each role. We understand that a single contract placement is only the beginning of our relationship. You’re in it for the long haul, and so are we. We pride ourselves on our ethical and honest approach to contract recruitment. Whether you need assistance for an Executive Interim Management, Tech, IT, HR, Finance and Accounting or Marketing and Communications role, we’ve got the right consultants ready to help. Call us on (08) 8100 8816 to find out how we can assist with your short, medium or long-term contract requirements. Rosie's career originally began in healthcare and nursing, transitioning into sales and marketing roles for a number of organisations both in SA and NSW. Whilst working in Sydney in sales and marketing management positions, she moved into recruitment and in 2001 returned to Adelaide to join a national executive recruitment firm where she remained until joining Hender Consulting in 2006 as Senior Consultant. In early 2007 she earned the role of General Manager for Hender Contracting, and manages a team of Senior Consultants experienced in the contract placement of senior executive on-hire and direct staff across diverse disciplines and industry sectors. With over 17 years experience in recruitment in Adelaide alone, and a strong focus on the HR and accounting market, her industry experience covers resources, manufacturing, consumer, professional services, agribusiness, engineering, information technology and education. With her focus predominantly being in the contract market, she has placed many mid to senior level candidates in a large variety of organisations where she enjoys continued relationships, also retaining an in-depth knowledge of the ever-changing contractor market. 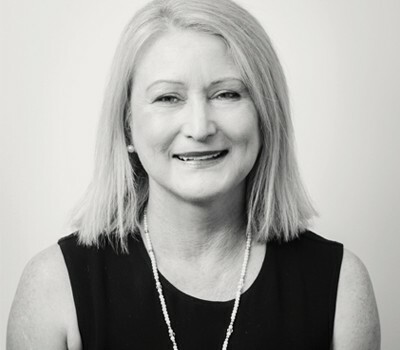 Marisa Hunt is a Member of the Recruitment and Consulting Services Association of Australia and New Zealand (RCSA), possessing Human Resources consulting qualifications through Monash University. Marisa demonstrates more than 20 years experience in recruitment, having held various consulting and senior consulting positions. Marisa’s experience spans contract and permanent recruitment including specialising in the finance and accounting disciplines for over 15 years from support to interim management level. She has also developed broader experience recruiting across other commercial and business disciplines including human resources, OH&S, marketing and communications, administration management and specialist roles from mid to senior level appointments. Marisa has previously provided ongoing recruitment services for key account relationships with other organisations. She demonstrates significant experience supplying high volume on-hire staff to commercial enterprise as well as State Government as the Account Manager for the Whole of Government account. Sangeetha is an experienced Recruitment Consultant with over 15 years experience covering in-house and agency recruitment. Sangeetha’s experience covers a broad range of industries, including engineering and construction, banking and finance and information technology. Her core experience spans both contract and permanent recruitment, sourcing candidates from mid to senior level from a global market place for diverse industries. Sangeetha has held various positions within recruitment firms delivering on contingent and retained search assignments. She has managed teams to successfully deliver to tight deadlines and highly specialised client requirements. Having successfully forged trusted relationships with clients and candidates alike, client management and quality of candidates delivered has been Sangeetha’s strength. Rosemary joined Hender in 2016. With over 15 years experience in business support, customer service, and project management roles within numerous sectors which include wellbeing, recruitment, industrial and the banking industry, Rosemary has built a strong track record with industry suppliers and is a results-driven professional. Rosemary is involved in resourcing for client requirements across engineering, logistics, facilities, contracts management, and procurement. Her role involves drafting advertisements, phone screening, and reference checking along with sourcing and interviewing candidates. Rosemary’s expertise is to provide quality candidates to industrial and technical clients for short term and longer term contract basis. Gisette Gunn has been working within the recruitment industry as a Personal Assistant and Team Coordinator for almost 10 years. Gisette liaises with clients, candidates and the recruitment team to provide seamless service and coordination of documentation, invoicing and online reporting, contracts and timesheets. Emma is an administration professional that has been with the Hender Tech area within Hender Contracting since 2018. She brings a dedicated approach to supporting consultants across the board with client and candidate contact, contract administration and client financial and timesheet follow-up. At Hender Contracting we offer a comprehensive array of contract recruitment services. When you need expertise in the Accounting and Finance, Executive Interim Management, HR, IT, Marketing and Communications or Tech, Logistics and Operations areas, we are ready to help. Our team of consultants will connect you with the best talent in your industry. Our key Accounting Recruiter has worked in the sector for more than 25 years. This depth of experience means we are consistently able to locate the best-qualified candidates to meet your accounting and finance needs. We specialise in mid to senior level accounting roles. Our accounting candidates have impeccable track records, and are well-versed in the need to hit the ground running in a new organisation. Whether your needs are for simple or complex reconciliations, variance analysis, month/year end, statutory/management reporting, data manipulation, compliance work or taxation requirements, we have candidates ready for immediate starts. We specialise in high-level interim management placements. When you identify a short, medium or long-term need in your executive team, we have the most experienced candidates to complement your existing management structure. We understand that continuity is key to the success of your organisation. At Hender Contracting, we’re proud to have worked with businesses from all sectors and industries, ranging from Not-for-profits, Resources, Higher Education, Banking and Finance, Healthcare, Government, and the private sector. Human Resources staff play a vital role in every organisation. When you need short, medium or long-term placements to support your HR needs, we can connect you with the most appropriate candidates. We are also able to assist with urgent internal recruitment requirements. For more than 15 years we have successfully placed candidates with clients across a range of sectors, including Higher Education, Banking and Finance, Resources, Not-for-profit, Healthcare, Government and the private sector. As recruiters, we are perfectly placed to understand your HR needs. The IT sector is constantly evolving, which makes it an exciting and challenging field to specialise in. We pride ourselves on staying abreast of the latest developments in the industry. This, coupled with our strong reputation for IT recruitment, make us the best fit when you need short, medium or long-term contract placements to support your business, or are a contractor looking for your next role. Marketing, PR and communications require a strong technical skill base combined with the right personality. Digital marketing and communications sector is one of the fastest-growing sectors, which makes it critical that you connect with the best contractors. From social media management to strategic communications, finding the right fit for your business is paramount. We are experienced in placing marketing managers, strategic communications experts, PR advisors, digital marketing specialists, content marketers, tender writers, social media managers and generalist copywriters. At Hender Contracting, we know that taking the time to understand what you need means we can connect you with the best candidates. Our talented candidates are experienced professionals who excel in supply chain and procurement, contracts management, project management, engineering, and operations disciplines including production management, HR, HSE and WHS. When you have an urgent need for an on-hire or direct contract qualified professional to join your team, we’re flexible enough to work to tight timeframes to help you meet your goals. Our team of specialist consultants have an excellent understanding of the range of technical and operational roles in these sectors. We are also uniquely positioned to understand your organisational needs. For contractors, this means we can offer you the most interesting roles. For clients, this means we draw from the most qualified talent pool. We have built broad networks and strong relationships within the tech and operational sectors, and we pride ourselves on consistently achieving outstanding results for our clients and contractors. Because we know that we only succeed when you do.